Click the name of a list. In the upper right, click the Actions dropdown menu and select Edit columns. In the dialog box, search or browse through properties on the left. Select the checkbox next to a property to add it to your selected columns. To remove columns, click the X to the right of the property in the Selected columns section. To reorder columns, drag and drop properties in the Selected columns section. When you're done customizing your columns, click Save. 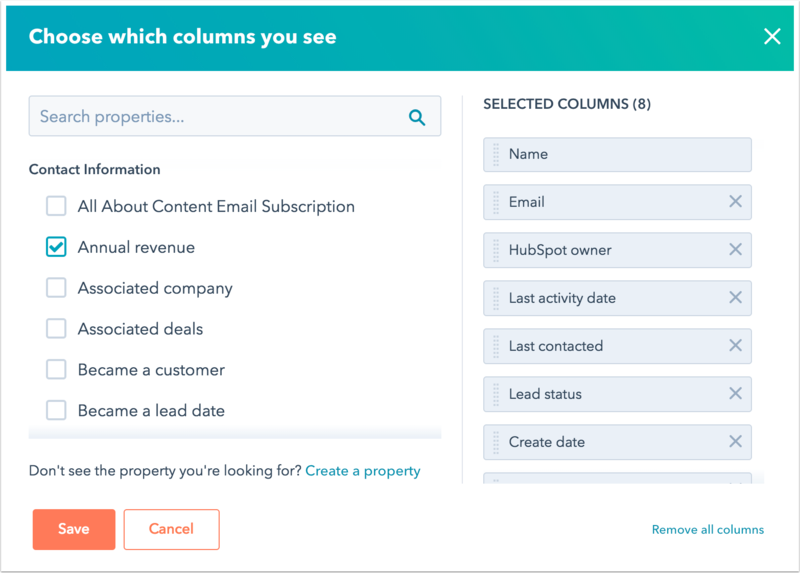 Please note: the columns that you select here will apply to all of your lists for your HubSpot user only. 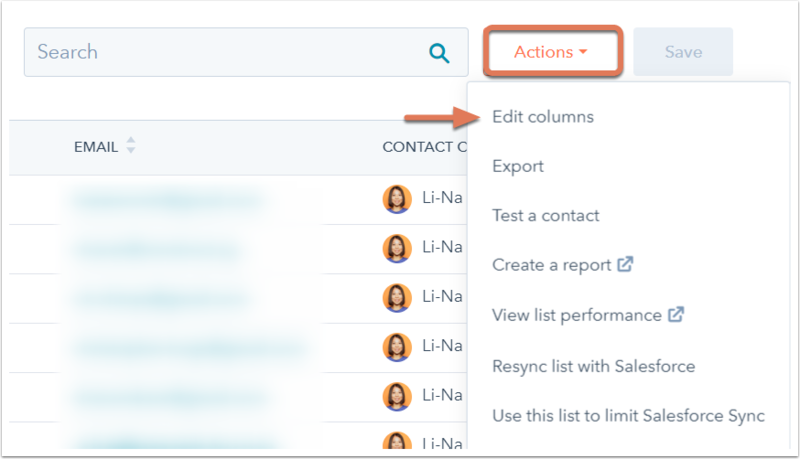 Other users in your HubSpot account will see the columns they have selected using the same steps.